Dum Dum Doughnuts are the leading and fastest growing doughnut brand in the UK. 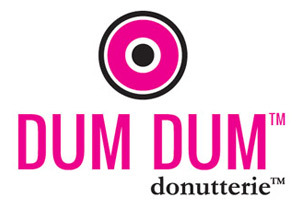 Causing a media frenzy when we launched in late 2013, Dum Dum are now both a doughnut and food institution in the UK. Dum Dum Doughnuts are the world’s first artisan baked doughnut / croissant doughnut brand. Made with only natural ingredients and yet uncompromising on irresistible deliciousness, Dum Dum offer beautifully baked (not fried) and handmade doughnuts to a growing legion of our loyal of fans across the UK. Artisan doughnut chef Paul Hurley is the Founder of Dum Dum Doughnuts and since 1997 he had the vision to create ‘The Best Doughnut in The World’. We are an independent British company that offers high quality, natural artisan doughnuts that are uniquely baked fresh every day – in fact, all our outlets stay open every day until all doughnuts have sold out. It is exactly this concept which has proved such a hit with the British public. With successful London based outlets Dum Dum are now also the only doughnut brand in Harrods. Dum Dum has also opened their first international outlet in Dubai at the beginning of 2106 with another nine UEA stores planned over the next five years. Currently we are in negotiation to expand to many other countries as well as increase our stores in the UK. In our relatively short lifespan, we have attracted an ever growing and loyal customer base from the public, press and celebrities alike. Our fast expanding company and unique offering has meant that we have been able to react to the growing demands of Dum Dum fans across London. It’s worth noting that queues outside all Dum Dum Donutteries are not uncommon. We can design to fit out any space that you have in mind and supply all tried and trusted equipment that you will need to get you up and running fast.